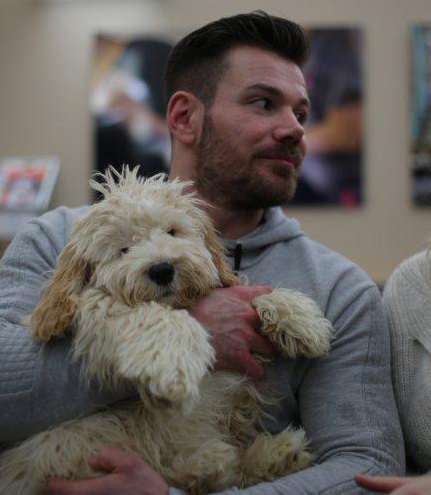 In this week's episode of The Supervet, Noel receives a visit from his old gym buddy, Jon, after his 4-month-old Cockapoo, Monti, escapes from wife Jess’s arms and fractures his leg. Monti lives with dad Jon and his wife Jess. Jon previously met Noel 15 years ago at the gym - reuniting once again to treat injured Monti. 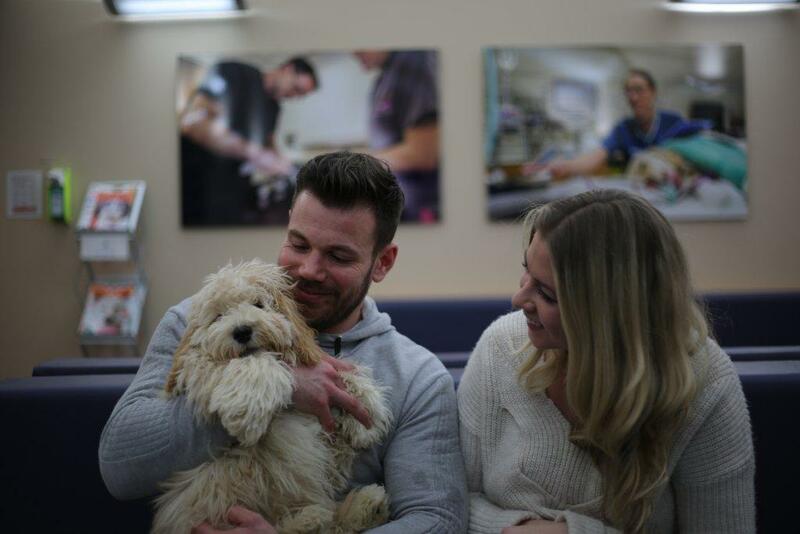 Four-month-old cockapoo, Monti, was brought to Fitzpatrick Referrals by couple Jon and Jess after the exuberant puppy wriggled out of Jess’s arms and fractured his knee. Jon and Noel have known each other for a few years, having met at a local gym, and Jon knew that Noel might be able to help his newest family member. Jess felt responsible for the accident and was so devastated that she couldn’t bring herself to take Monty to see Noel, so Jon bought him instead. Noel reviewed the x-ray imaging sent by Jon’s local vet and explained to Jon that there were two fractures in the top of Monti’s tibia, at the tibial tuberosity and the proximal tibial epiphysis, both near his growth plates. 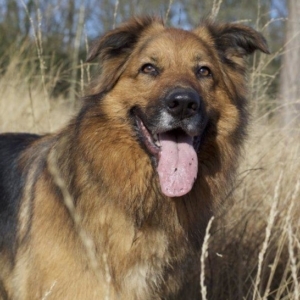 Noel explained that it is a common injury caused by trauma in young, small dogs; when a great force goes through the quadriceps muscle and tendon it can cause the tibial tuberosity to become displaced. Noel explained to Jon that fractures near growth plates can be very tricky and that he would need to fuse Monti’s growth plate in order to fix the fractures. Dogs, like humans, have growth plates at each end of long bones, such as the tibia, allowing a little puppy to grow and mature into an adult dog. Once skeletal maturity is reached the growth plates will naturally fuse so that growth stops. Fusing Monti’s growth plate prematurely could mean that he ends up with one leg longer than the other, but with a bit of luck the growth plate at the other end of his tibia would compensate for it and there won’t be any difference at all. Noel took Monty to theatre immediately and set about repositioning the fractured pieces of bone in Monti’s knee using a complex series of pins. It’s a difficult surgery as Noel isn’t able to see the fractures directly as they’re covered in muscle and tendon so he has to visualise the problem by feeling his way around the anatomy of the knee. Once everything was back in the right place, Noel anchored all the pins down using a figure-of-eight wire. Noel checked that the knee was secure and that the segments of bone couldn’t come loose again. If Monti could stay out of trouble and heal as he needed to, he would be able to go home after three days. During his stay he could not have asked for more cuddles and fuss – the mischievous little pup had everyone charmed! Three days later Jon and wife Jess came to pick him up and although still feeling guilty, Jess was delighted to have Monti back in one piece, and Monti was ecstatic to see her. 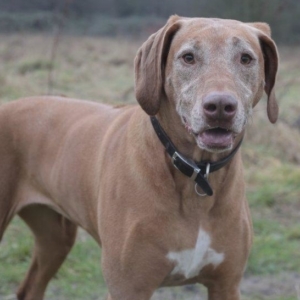 Noel reassured her that accidents can happen to anyone, and in fact it is a fairly common accident we see at Fitzpatrick Referrals. After two months of careful cage rest little Monti was raring to go! After a final check-up with Noel, Monti was signed off and allowed to run and play as any puppy should.